The house log structure is traditional in our country, and the technology of its creation has been perfected for many centuries. There were times when other houses were simply not built either in the city or in the countryside. Today, however, few know how to properly build a log house, how to choose the material and how to properly decorate it. Meanwhile, the house or cottage of such a construction has many advantages. To build a log house, it is better to use larch or pine wood. To build a log house, you do not need big money, a lot of time and special construction qualifications, and such a building will look very stylish and attractive. It can be used both for a stand-alone bath and for building a residential building. 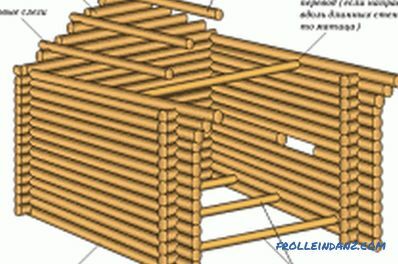 In order to succeed, you need to know how to build a log house and how to choose logs for it. 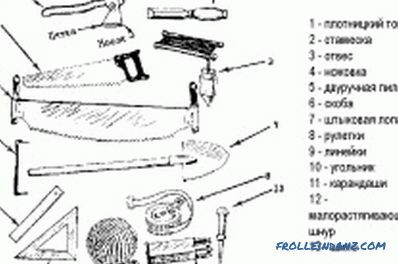 Then it is quite possible to do it yourself, without the help of hired professionals. The construction of a log house with your own hands must begin with the choice of the material from which it will consist. For him, the best fit logs of larch or pine. You can also use linden, birch or aspen. 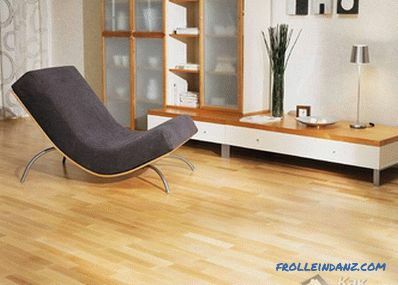 These types of wood are the most durable, and the buildings of them are able to stand for many decades. The device is a log house. The thickness of the log should be at least 20 cm and be the same along its entire length. 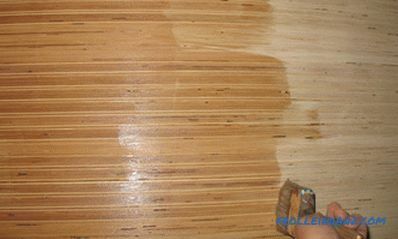 The difference between the thin and thick end should not be more than 3 cm, while it should not have longitudinal cracks and be sufficiently smooth. Then the log house will keep warm even without additional surface plating. It is worth knowing that the assembly of the log house is quite acceptable and from raw logs, the drying process can occur after their installation. The main advantages of this design are good insulating qualities, durability and environmental friendliness. Its high aesthetic parameters are not in doubt. The cost of the material and its availability is largely determined by the location of the building. There are many places where logs are the cheapest of building materials. 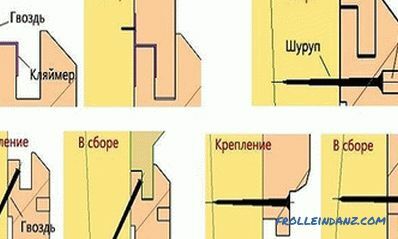 It is enough to cut them in the size corresponding to the length of the walls, and you can begin to put a log cabin with your own hands according to the technological recommendations. 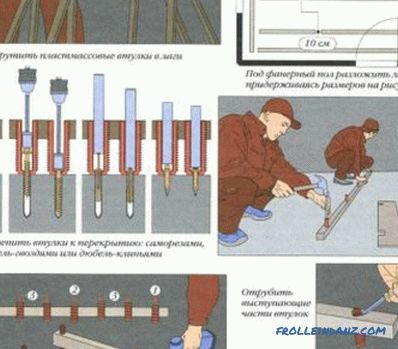 The method of assembly depends on the layout of the future house, the method of fastening the logs together and the processing of their surfaces. Chopped house can have not only rectangular, but also polygonal and even semicircular or round shape. 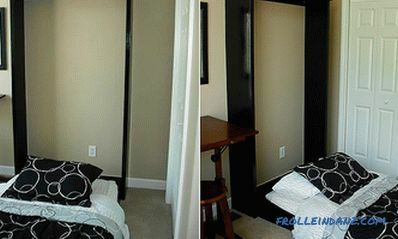 There is also a traditional five-wall design, when the internal partition separating the living room from the hallway, called the "canopy", is also made chopped. 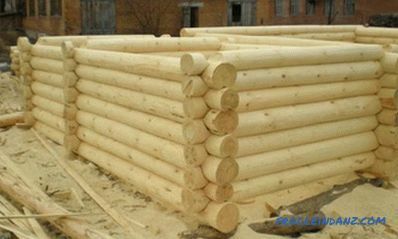 The material for the assembly of a log house can be either an ordinary log, cleared of bark, or processed to an ideal cylindrical shape, in other words, cylindered, as well as a profiled bar of rectangular cross section. 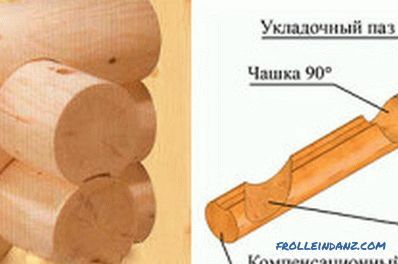 A rounded log has the same thickness along the entire length, which facilitates substantially the assembly of the whole structure, and the already prepared longitudinal grooves for assembly. It can be put on the level, unlike conventional logs, which need to be alternated through one top and bottom in different directions. Moreover, such a log is stronger than usual, it keeps heat better and, as a rule, no longer needs further processing. After assembling the design, the rounded logs give only about 5% shrinkage, and their appearance does not require additional coverage. The main disadvantage of such logs is their high cost. The profiled bar is machined on a special machine in such a way that the side surfaces become flat, and there are grooves for assembly on the top and bottom. This allows a much faster build process. The advantages of a timber over a rounded log are that its external surface is more hermetic to the effects of precipitation, and its weight is less, which gives a smaller load on the foundation. At the same time, advantages, such as beautiful appearance and minimal shrinkage, are also characteristic of it, but the price of a bar is significantly lower. First of all, you need to dig a pit and pour the foundation. For each of the materials, it should have its own characteristics, but all the foundations for log structures usually fall into the category of strip structures. The waterproofing is put on it, the board is on top of it, and already the logs are being laid on it. Between boards and logs still lay a layer of tow. On the bottom surface of the lower rim, a flat surface 15 cm wide is made so as not to push the board. Then it is worth remembering that, unlike other building structures, the assembly of a log house takes place by crowns, which are laid along the entire perimeter at the same time. In order to properly assemble a log house, the lowermost rims are necessarily put out of the thickest logs in a closed loop, and the door and window openings are already made higher. This gives the whole structure the necessary strength. There are only two basic ways of tying logs: “in the bowl” and “in the paw”. They differ in the form of grooves, which are cut down at the place of attachment. For fastening of the first type, a semicircular groove is cut across the log, on the same side where the same shape passes, only a shallower longitudinal groove. Then the transverse groove is placed on the underlying log, a longitudinal groove downwards so that the lower one passes through it. Thus fasten the most often rounded or untreated logs. The corners of the structure are very resistant to gusts of hurricane winds, but they require longer logs than are needed for the internal volume, which results in excessive material overuse. The second method of dressing this defect is deprived, but for a strong wind such a structure is much more vulnerable. The end of the log is made in the form of a trapezoidal wedge with a small ledge as a lock. The surfaces are fastened with the help of wooden dowel pins, which are inserted into deep, but not through holes every 100 cm. In this case, as a gasket between the logs, they use hemp or jute fibers to seal the gaps. The slope of the wedges of the logs perpendicularly located row is directed in the opposite direction, so that together they form a lock mount. 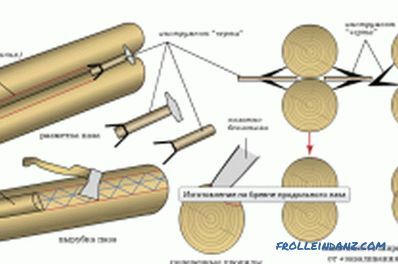 So collect and profiled timber, and round logs. After the assembly of the log house has ended, it must be left to stand for final shrinkage for about 1 year. To prevent window and door openings from deforming to an unacceptable level, special technological gaps are left between the logs, which will close in the process of shrinkage. Those gaps and gaps, which then remained, are clogged with tow. Only after this process is completed can floors be laid and roof rafters should be laid. So the assembly of the log-house structure with its own resources is quite possible, you just need to follow all the requirements of the technology.